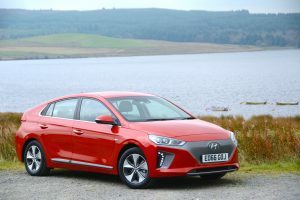 The Hyundai Ioniq Electric offers an impressive driving experience and decent real-world range, all in a practical and relatively affordable package. The world is heading to a future where there will be lower levels of emissions that impact on our climate as well as lower levels of emissions that impact on local air quality. Electric vehicles are currently seen as the best solution to those twin challenges and this means that virtually all car manufacturers are bringing electric cars to market. One of the latest offerings is Hyundai’s Ioniq, which is also Hyundai’s first electric car to go on sale in the UK. Hyundai’s Ioniq Electric has been engineered to feature hybrid, plug-in hybrid or pure electric powertrains. This review is of the pure electric model, and a separate review of the hybrid version is coming soon. The plug-in hybrid isn’t on sale in the UK until next year. By offering the Ioniq with the choice of three powertrains, Hyundai is hedging its bets about whether hybrid, plug-in hybrid or pure electric powertrains will experience most demand in the short-term future. Of course, which of the powertrains is best for you depends on your driving patterns. For someone who typically drives less than 100 miles per day between potential recharges, then the Electric model should fit the bill. For people who regularly drive less than 30 miles or so most days but occasionally drive longer distances, the plug-in hybrid is the ideal solution. For people who mostly drive in stop-start traffic rather than on long motorway journeys, and who either don’t want to, or aren’t able to, plug the car in to recharge, then the hybrid is likely to be the best solution. 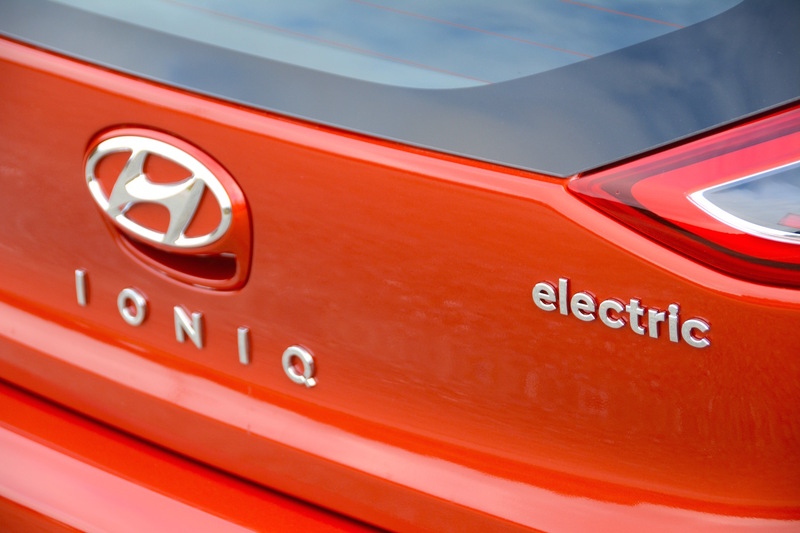 The Hyundai Ioniq Electric has a 28 kWh lithium-ion polymer battery and an electric motor with a maximum output of 88 kW (120 PS), resulting in instantly available maximum torque of 295 Nm. 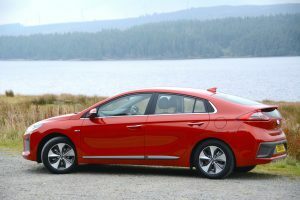 All models come with the same five-door hatchback body, the style of which is primarily influenced by efficient aerodynamics; the key visual difference between them is that the hybrid features a traditional grille at the front of the car, but the electric model has grey plastic covering the area where the grille was. Whether this is an attractive styling detail or not is probably subjective. 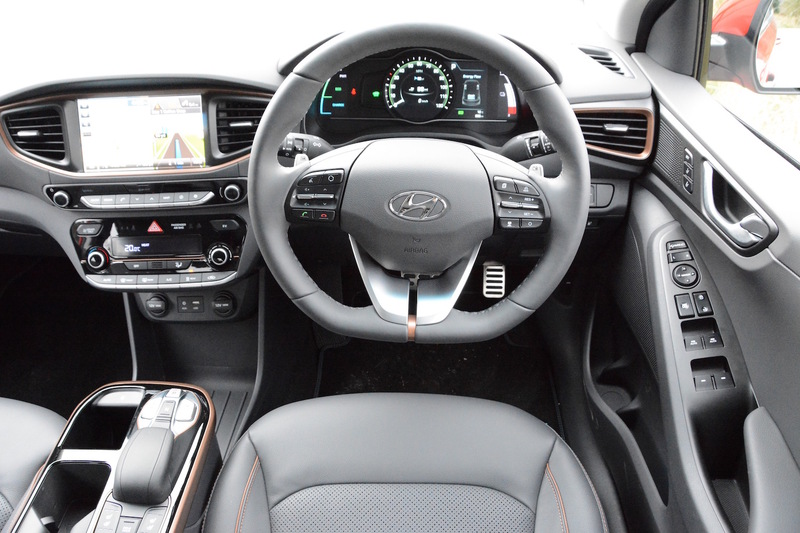 The interior is a pleasant enough place to be; it’s not hugely high-tech, but it’s certainly functional – in common with most other Hyundai models. There’s no traditional gear selector; just three buttons for park, drive and reverse. 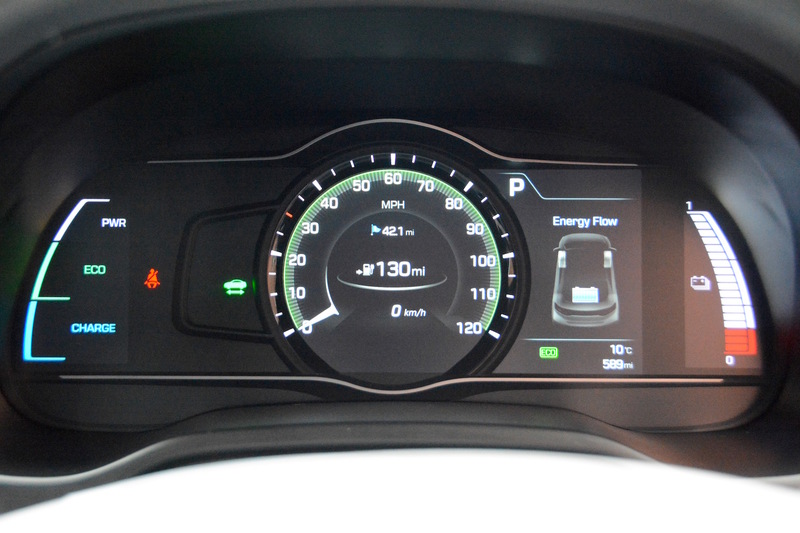 There are also buttons to allow you to switch drive modes between sport, normal and eco. You can also control the level of brake regeneration by steering wheel-mounted paddles, which offer four settings. 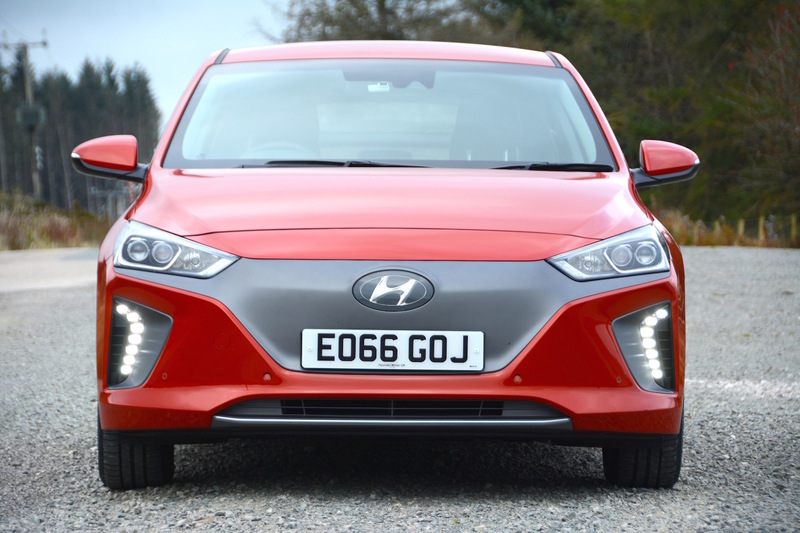 We would hope to live with the car for at least a week in the not-too-distant future, but this review is based on driving the Ioniq Electric on the UK launch event. This took place in Liverpool and involved a drive to some excellent roads in North Wales. 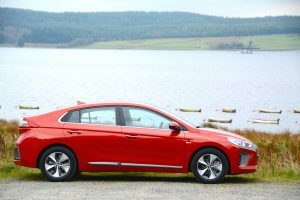 Bearing in mind that most European electric car launches take place in flat, urban areas such as Amsterdam, Hyundai was either being confident or taking a risk with an electric car launch through the hills of North Wales. In fact much of the route was comprised of our regular test roads, including the same roads that we recently used for the Ford Focus RS. To pull this off, the driving range of the Ioniq Electric needed to be sufficient, and the car had to handle the twists and turns better than you would expect a mass-market electric hatchback to do. 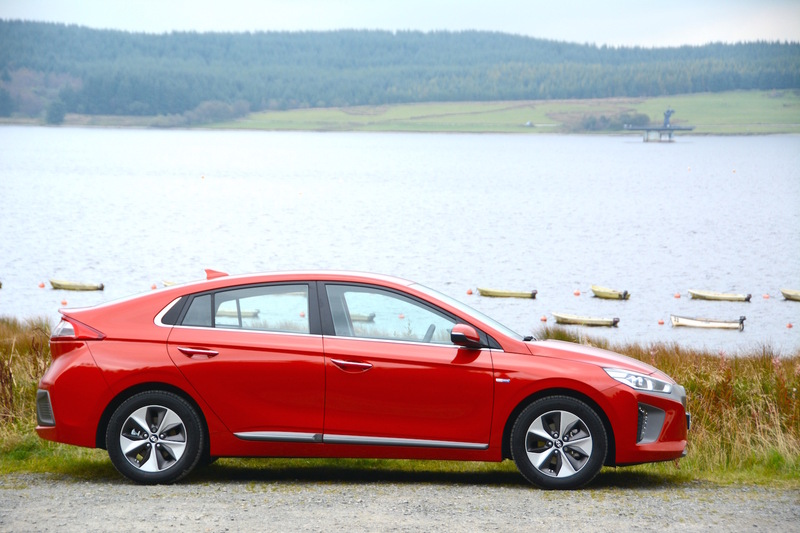 By the time we’d arrived at Llyn Brenig in Clocaenog Forest (after a top-up charge en route) it had become apparent that the Ioniq was dynamically very adept. 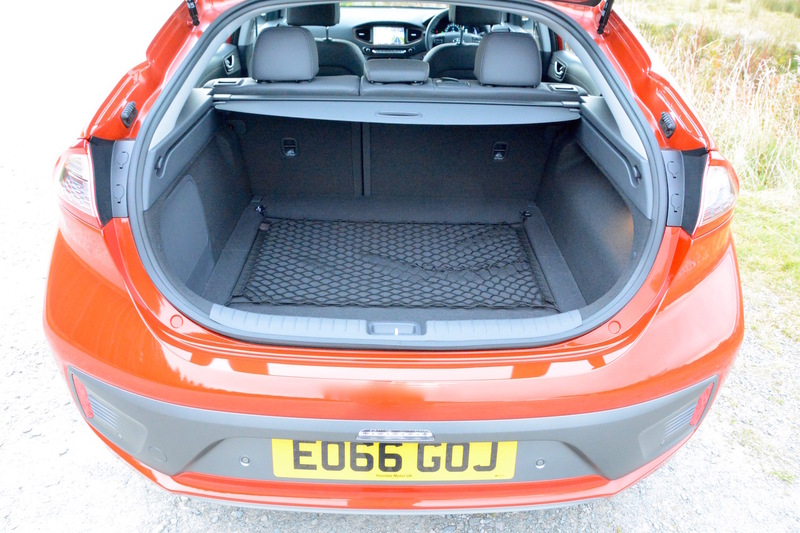 Most electric cars have their battery located low down in the chassis, resulting in a low centre of gravity, which assists handling. This trait was evident in the Ioniq, however this in itself isn’t enough to provide a rewarding driving experience on the sort of roads that you find in North Wales; thankfully the Ioniq also demonstrated a comfortable ride in addition to well-controlled body movements. If you selected the Sport drive mode then the throttle become more responsive and the steering gained a well-judged amount of weight. And in common with all electric cars, 100% torque is available virtually all of the time – leading to refined and near-silent progress. All this resulted in the Ioniq Electric being a lot more enjoyable to pilot enthusiastically through North Wales than expected. Most potential UK Ioniq buyers aren’t likely to use the car in this way on a daily basis, but as Green Car Guide has spent ten years searching for cars that combine efficiency with a great driving experience, then, for us, this was more than a pleasant surprise. The big issue over recent years has been CO2 emissions, but Volkswagen’s Dieselgate scandal has helped to raise awareness about emissions that impact upon local air quality. The Ioniq Electric – along with all other pure electric cars – is an ideal solution in terms of local air quality, and it also emits zero CO2 at the tailpipe – as well as emitting zero CO2 overall if recharged with renewable energy. 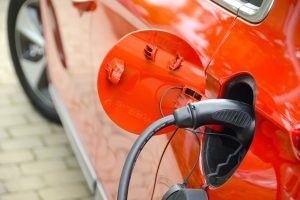 As well as being greener, running costs for an EV are around a fifth of the cost of a petrol car. The Ioniq Electric has an official range of 174 miles. On the launch event the car was displaying a range of 130 miles, and compared to some EVs, this figure didn’t drop drastically when out on the open road, so we would imagine that 130 miles is a realistic real-life range. A full charge at home using a POD Point home charging unit takes four and a half hours. 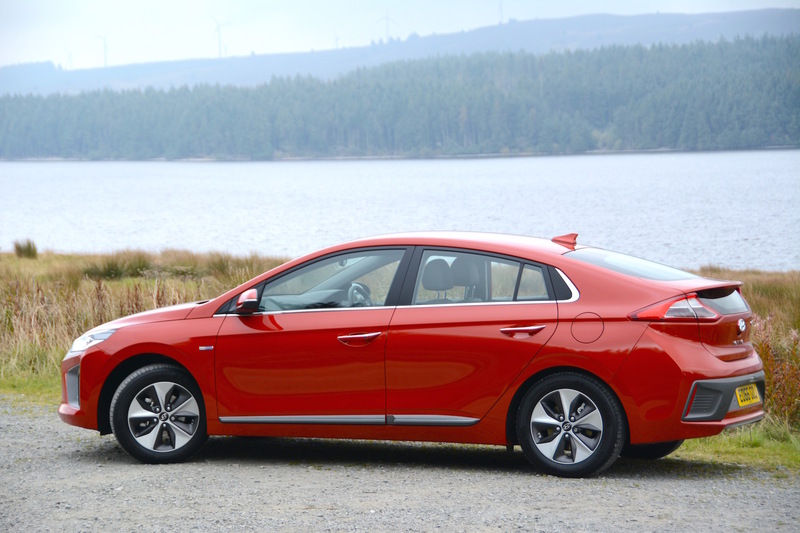 The Ioniq Electric Premium is available from £24,495, after the UK government plug-in car grant of £4,500. The second and final trim choice is the Ioniq Electric Premium SE, available from £26,295. The Ioniq Hybrid and the Ioniq Electric will be on sale in the UK from 27 October 2016. A common reason not to buy an electric car over recent years has been the argument that there hasn’t been enough choice of models to choose from. 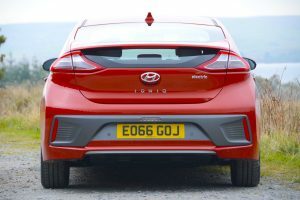 Therefore the Hyundai Ioniq Electric five-door, five-seat family hatchback is a welcome addition to the range of EVs on offer. Another issue has been the limited driving range of EVs. A real-life range of less than 100 miles has been a genuine barrier; if the Ioniq is offering a real-life range of around 130 miles, then this should be convenient for more people. 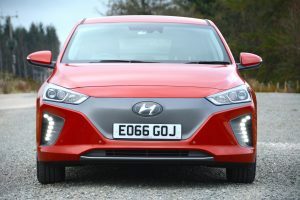 However both the latest Renault ZOE and BMW i3 boast a longer official range than the Ioniq, so maybe it won’t be too long before Hyundai feels obliged to stretch the Ioniq’s driving range further. 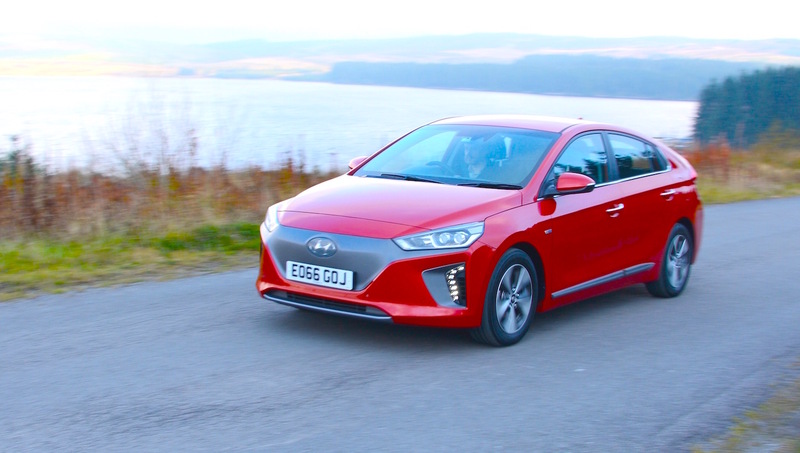 But perhaps the biggest selling point of the Ioniq is also the selling point of the rest of the Hyundai range: this is a very competent all-round car, it’s also practical, and it’s well-priced. This makes it a good car, but not necessarily an excellent car. 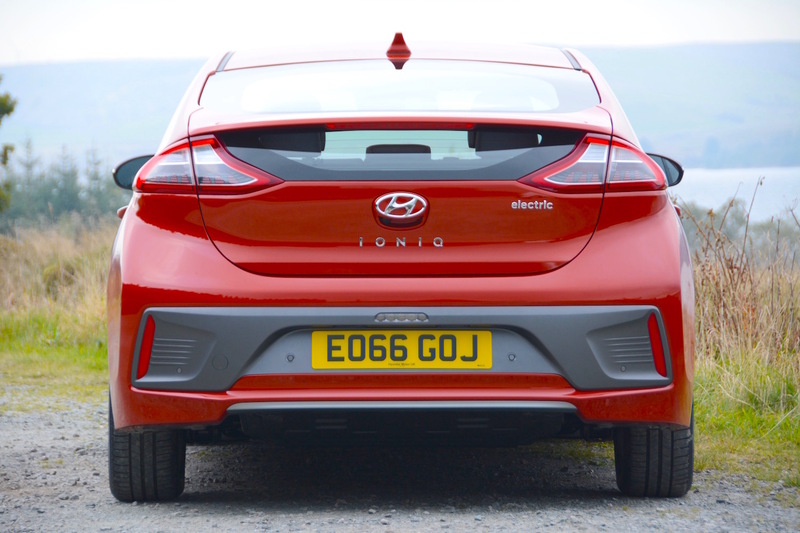 But if you then factor in the impressive driving dynamics on the roads of North Wales, in our view this elevates the Ioniq above some of its rivals. It therefore gains a Green Car Guide rating of 9 out of 10.